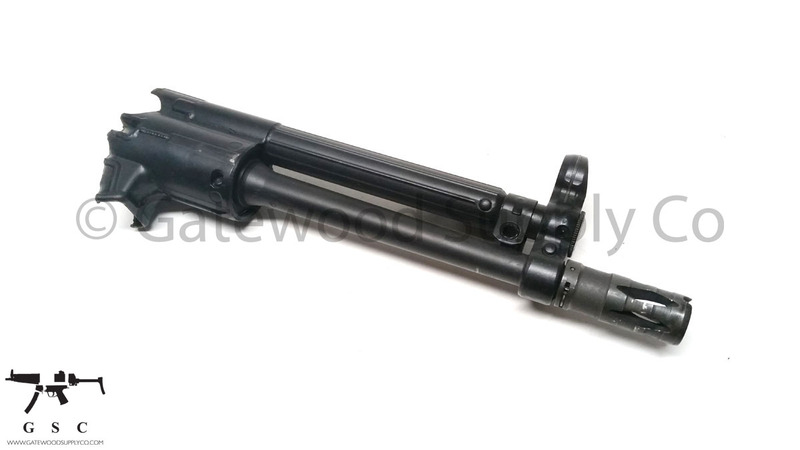 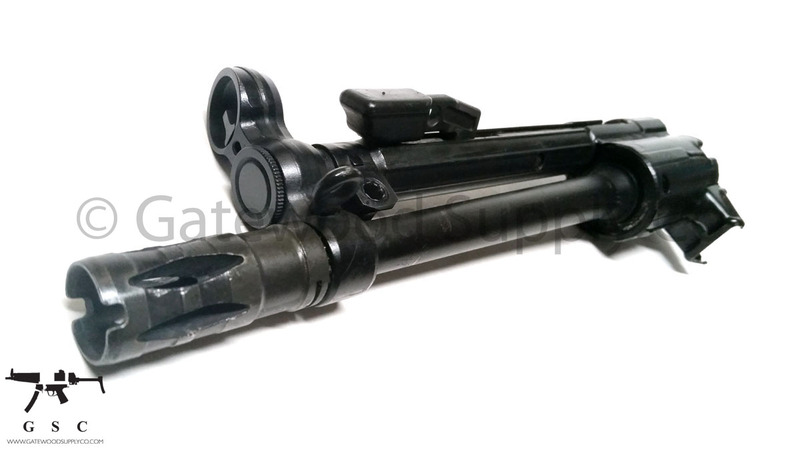 This listing is for a factory German HK53 front end with a 1x7 twist barrel. 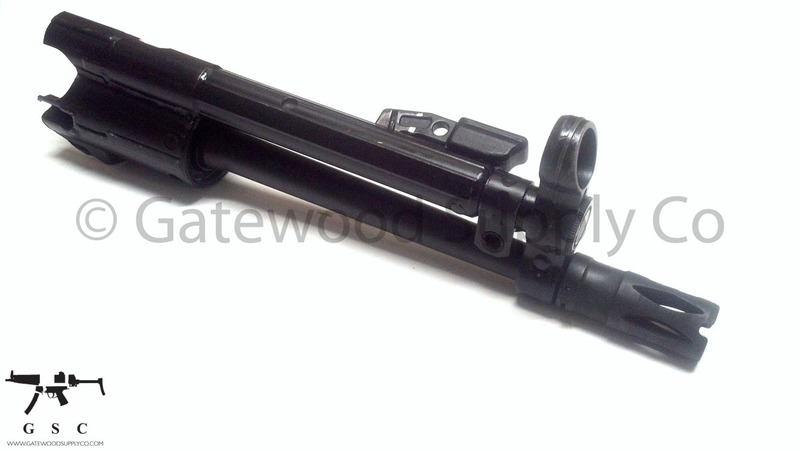 The front end is from a demilled police dept trade-in parts kit and includes a trunnion, front-sight blade, dust cap, cocking support, cocking handle, cocking tube, sight tower, birdcage flash hider and a barrel. 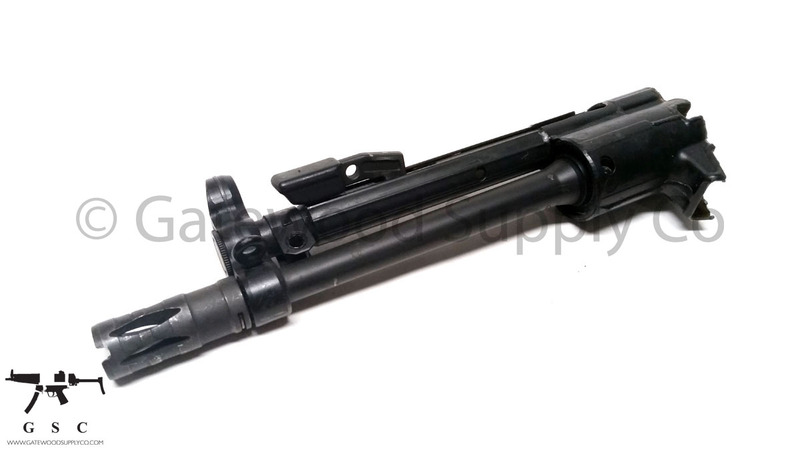 The barrel has German HK proof marks and is renowned for its superior quality. 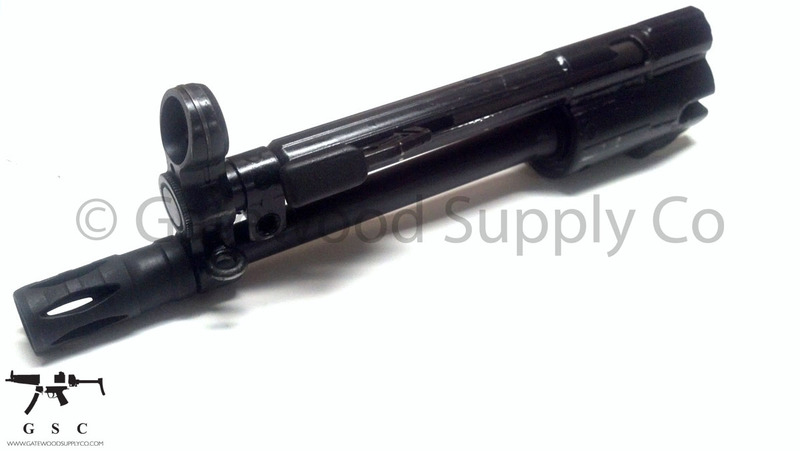 The 1x7 twist gives your weapon a larger range of projectile weights, so it can stabilize 62 grain and heavier rounds.